We are honored that you are visiting our website. As St. Gregory Armenian Church of Chicago, we are always striving to find new ways to get God’s message out to current and prospective members. This website works towards aiding us to reach people we may never have been able to contact before. If you have not already done so, please take a few moments to sign up for our email bulletin. This will ensure that you receive timely notices directly in your inbox of important announcements. Our Photos and Video galleries contain sights and sounds from past events. Be sure to check back periodically in case you miss any of the events. St. Gregory the Illuminator Armenian Church is one of the oldest Armenian communities in the Mid-Western United States. It is the oldest Armenian Church in Chicago dating back to late 19th and early 20th centuries. The Parish was officially established in 1915 with the blessing of His Holiness George (Kevork) V Sourenyants (Arm. Գևորգ Ե Սուրենեանց (Տփղիսեցի)) Catholicos of All Armenians and under the auspices of His Eminence Very Rev. Fr. Arsen Vehoui, Primate of the United States Diocese. The first official pastor was Very Rev. Fr. Vahram Nazaretian. For the initial years until 1922, St. Gregory did not have established sanctuary. From the years 1922 to 1964 St. Gregory Armenian Church was blessed to be located at 1000 N. Hoyne Avenue, Chicago, IL. On October 4, 1964 during the blessed reign of His Holiness Vasgen I Baljian (Arm. Վազգեն Ա Պալճյան (Բուխարեստցի)) Catholicos of All Armenians and St. Gregory was consecrated by His Eminence Archbishop Sion Manoogian, Primate of the Armenian Diocese of America (Eastern) and officially moved to its current location at 6700 W. Diversey Ave., Chicago, IL. The building of the current St. Gregory Armenian Church property was made possible with the major benefactors of the Armenian Educational Union of Silvas Todarag and by Mr. Haig Pedian. 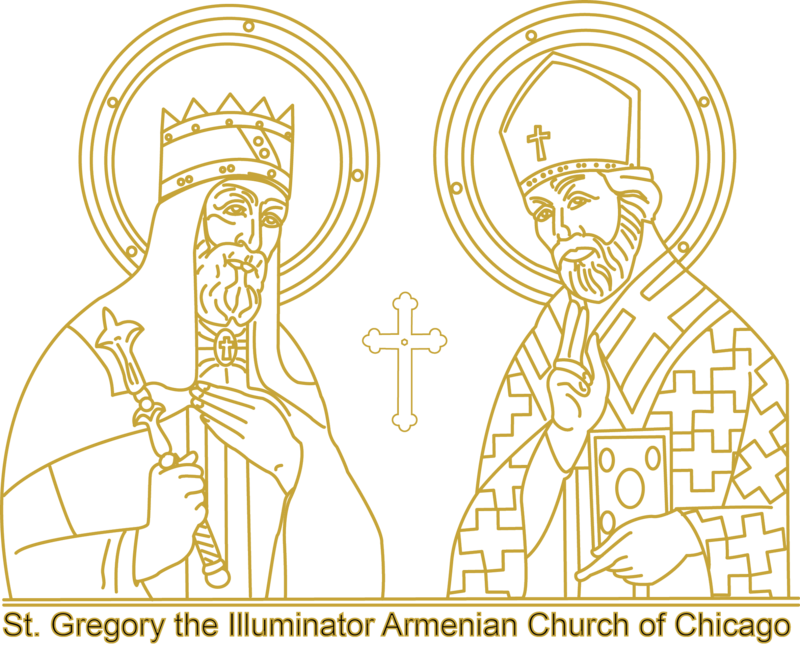 St. Gregory the Illuminator Armenian Church has had a long and blessed history of dedicated individuals who have made its existence a possibility. We have several cultural and religious, as well as educational events throughout the year. 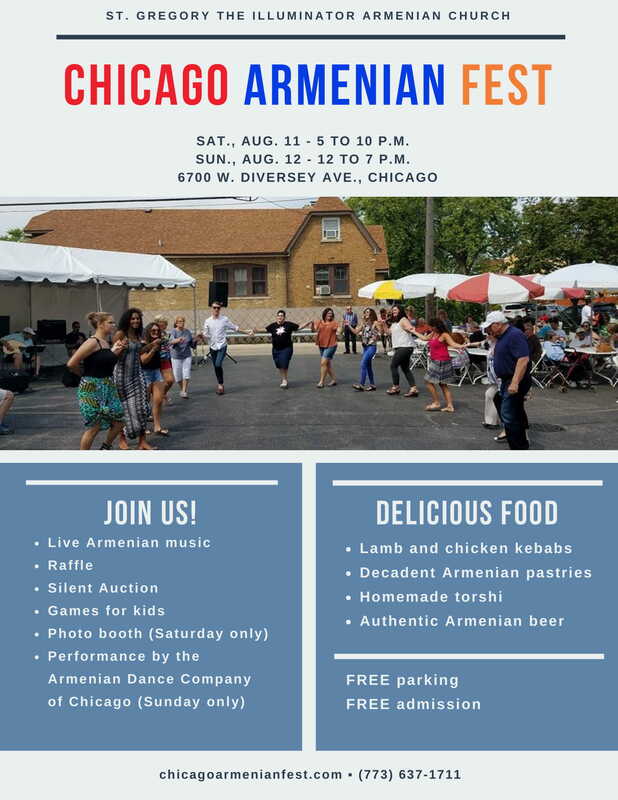 We annually hold a Summer Armenianfest, which has been published in various newspapers including the 2002 July/August Ed. No. 60 of Saveur. This festival also takes place during the Winter but for only a single day. We are a family, a community of members both Armenian and non-Armenian, who have a thirst for knowledge and a desire to be with God. 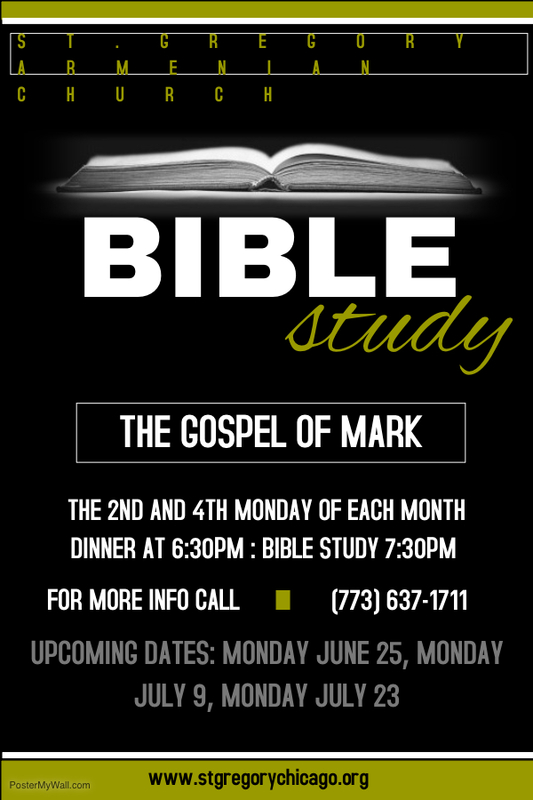 We extend an open invitation to anyone who desires to be part of our community. Our community has several opportunities for participation for all ages such as: Parish Council, Women’s Guild, ACYOA (Armenian Church Youth Organization of America), Choir, Altar Guild, Sunday School, Cultural and Education Committee, and much more. We hope you will join us soon.